• The race will begin at the intersection of Woodall Street and Fort Avenue. • Head West on Fort Avenue toward Light Street. • Left on Belt Street, left on Randall Street. Left on Webster Street. 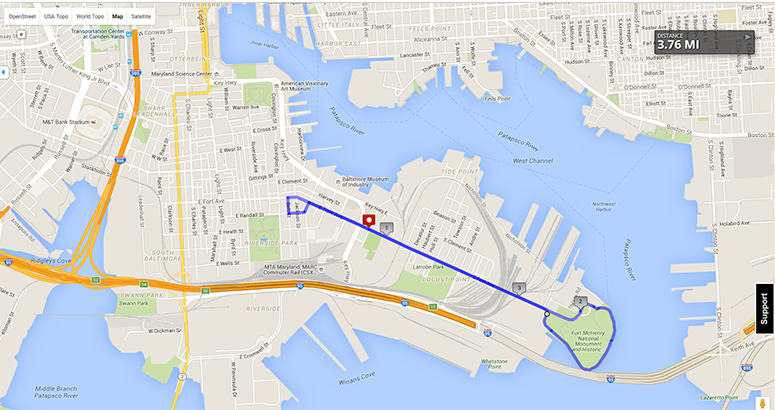 • Enter Fort McHenry and complete Fort loop, returning to Fort Avenue and heading west. • Left on Woodall Street to the finish line. Click Here to register for the 2019 Port to Fort 6K!